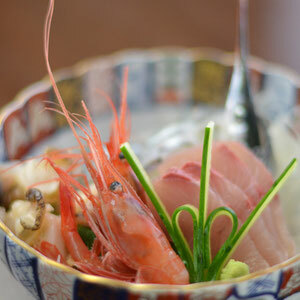 Kaiko Don is our special quinine. We cook 8 female for Kaiko Don.We will serve Kaiko Don from 8th Nov to end of Dec. Only 50days.It was named by Takeshi Kaiko (開高 健 one of famous writer,fisherman,adventure).Please make a book and try to eat someday! 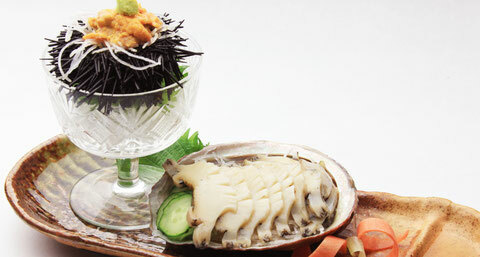 ※This photo is for illustrative purposes. 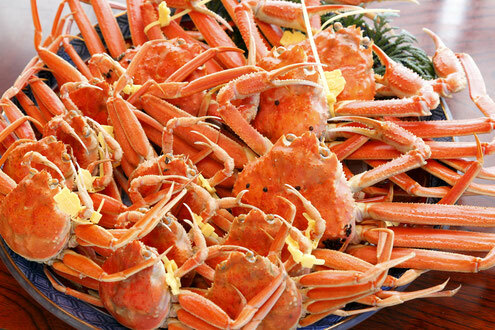 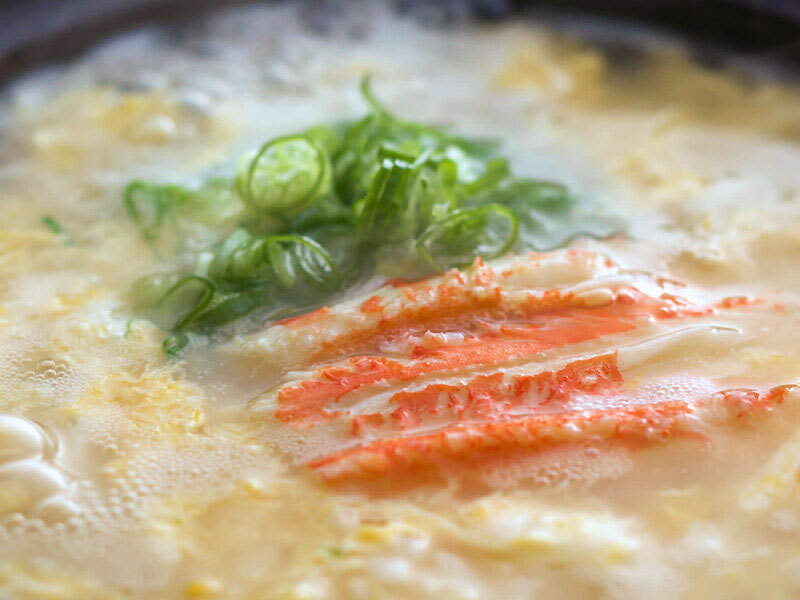 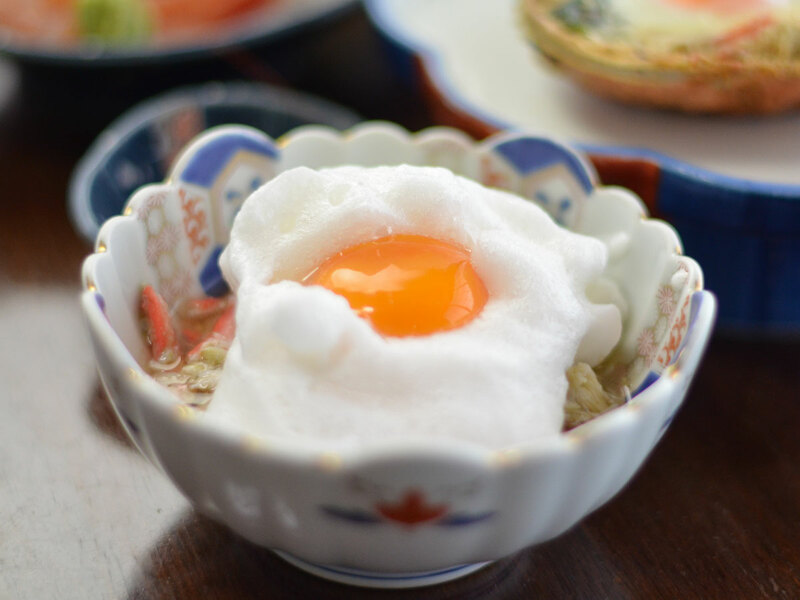 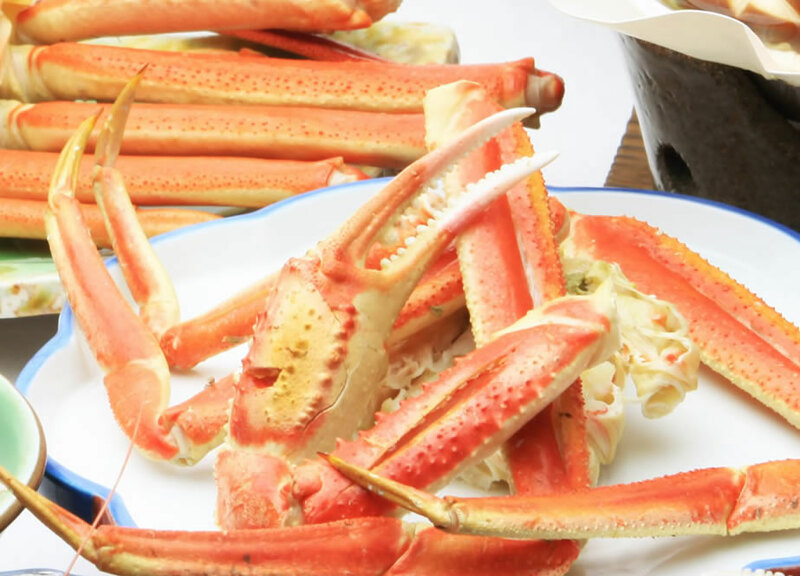 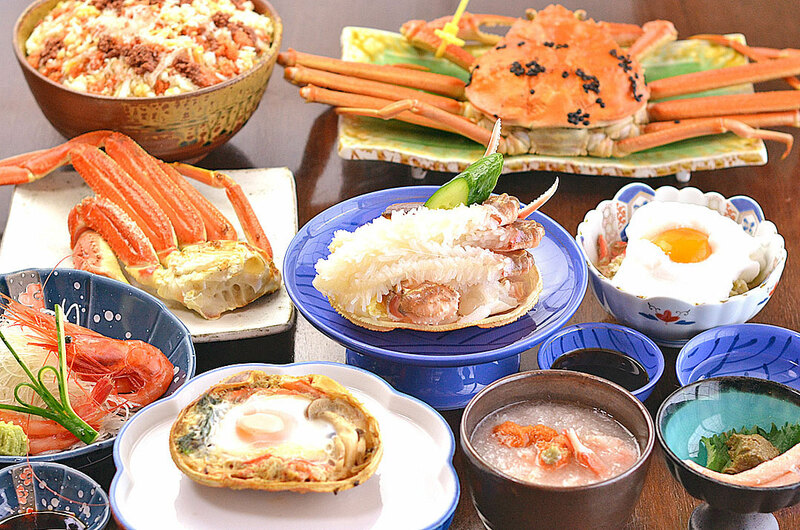 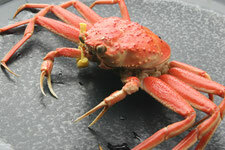 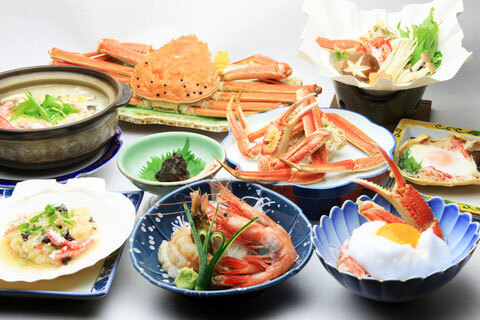 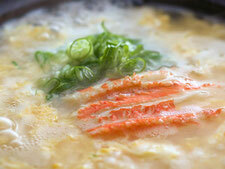 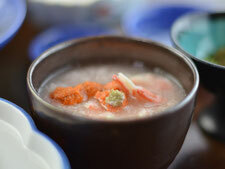 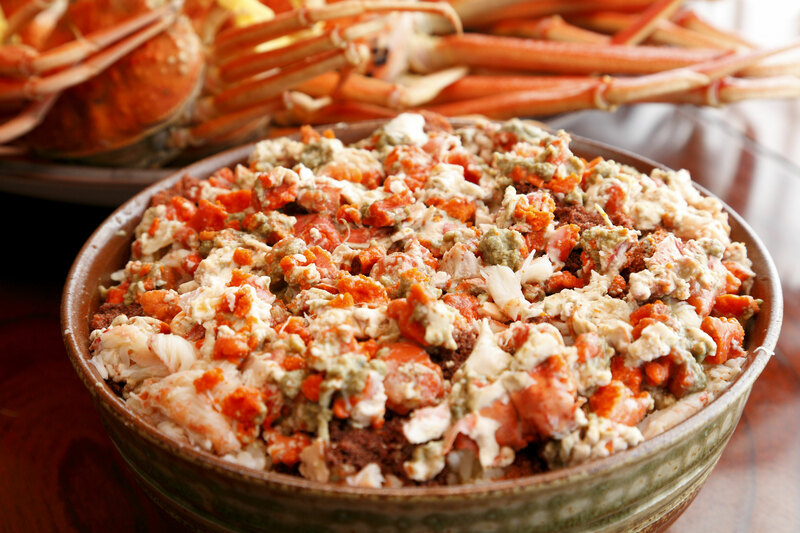 We will cook crab congee(porridge,蟹粥)instead of Kiko-Don at Jan.-Mar. 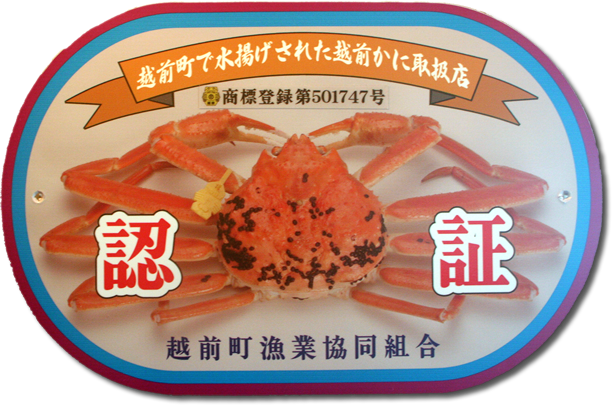 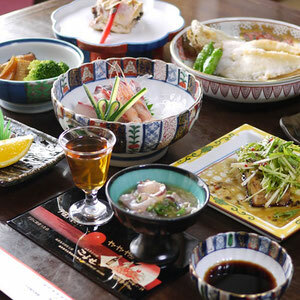 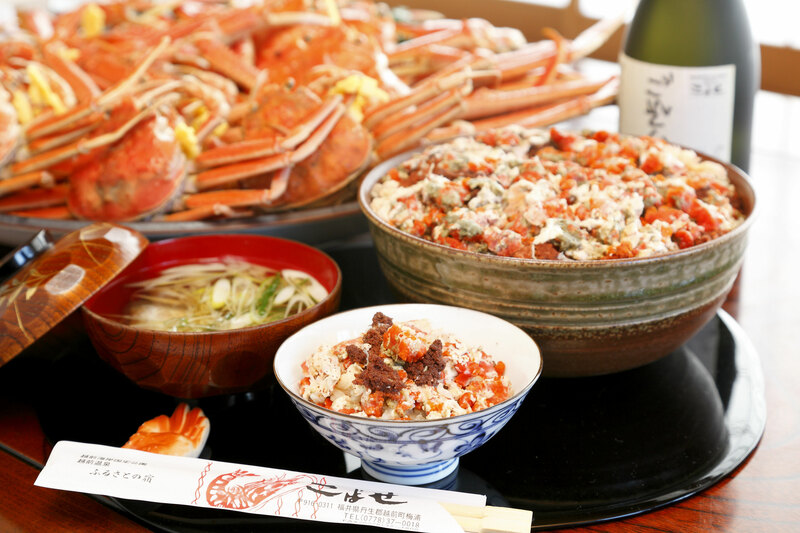 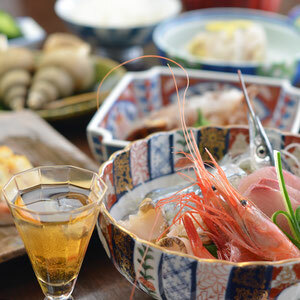 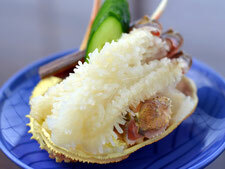 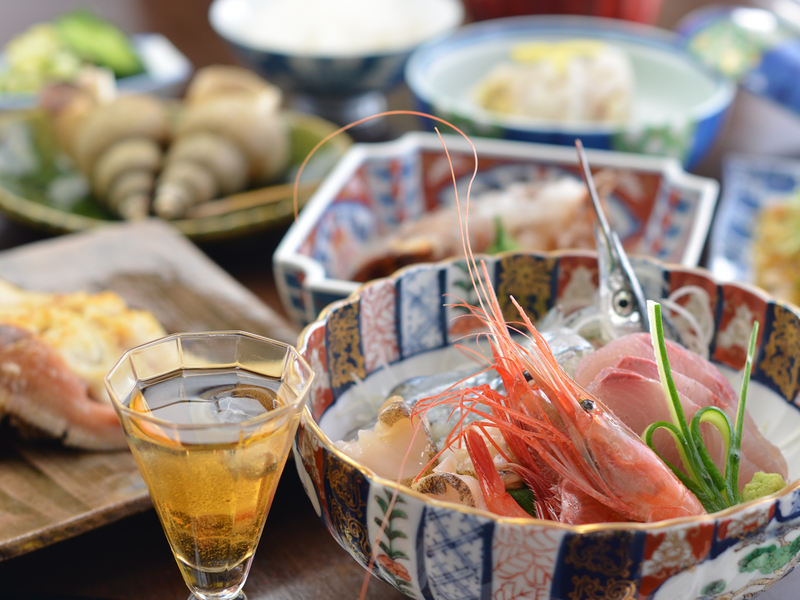 Our ryokan has been certified by echizen Fisheries cooperative.We promise to use real echizen-crab. 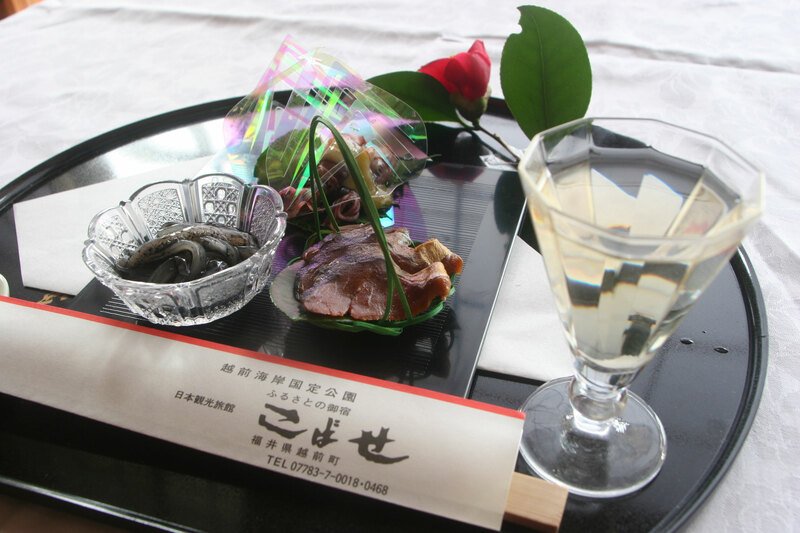 Wakasa beef has been relished since the Meiji Period. Its high meat quality and good taste maintained for a long time has come to be known nationwide. Quality of Wakasa beef is strictly classified from the first to fifth grade. Only high quality beef over the fourth grade is sold as Wakasa beef. 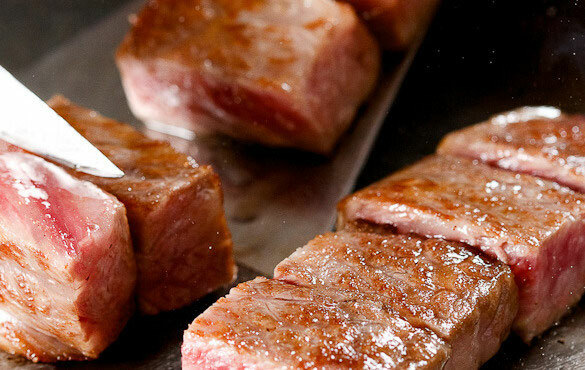 Why does Wakasa beef have high quality? 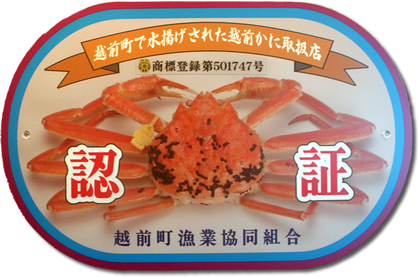 Meat quality depends on fat contained in it called sashi. 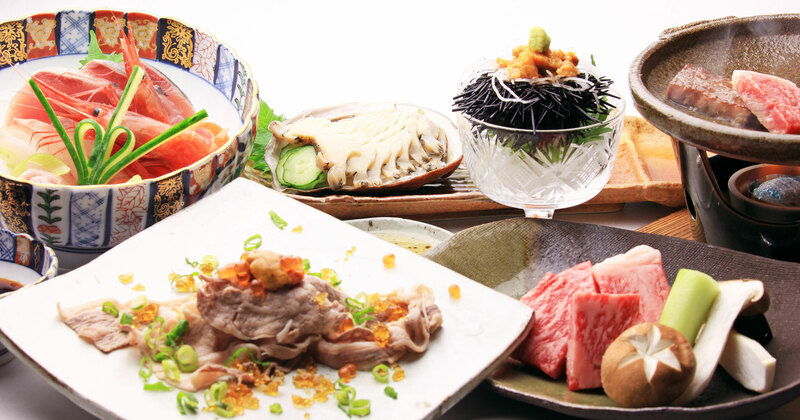 The rich flavor of Wakasa beef comes from sashi contained delicately in the meat. 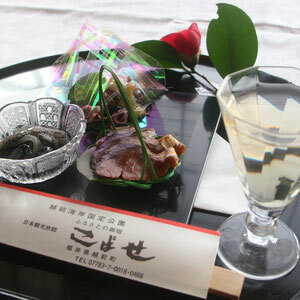 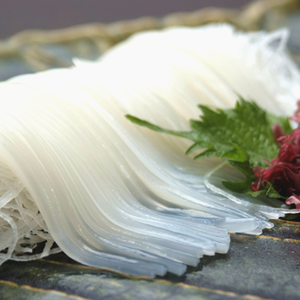 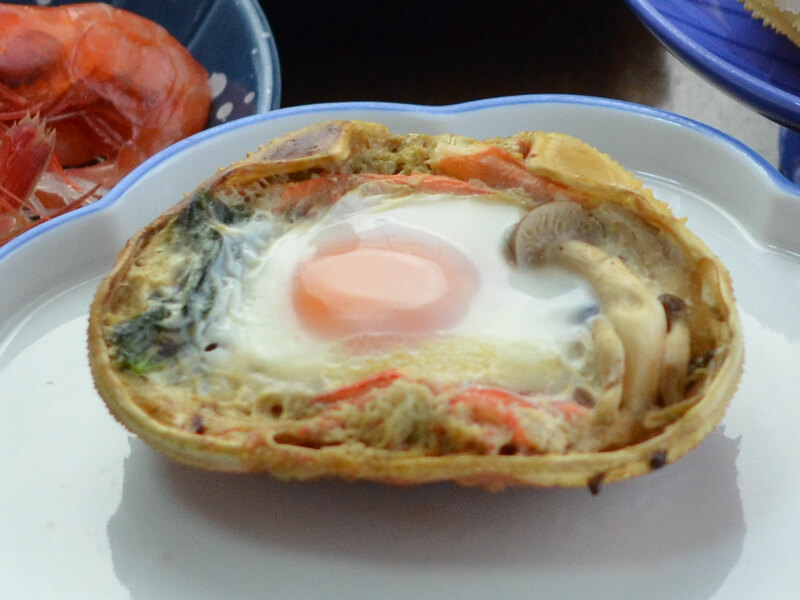 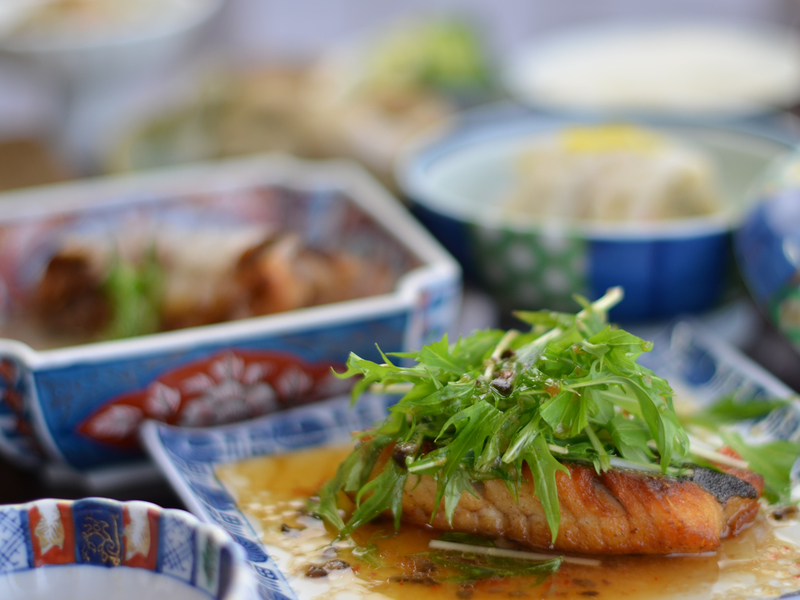 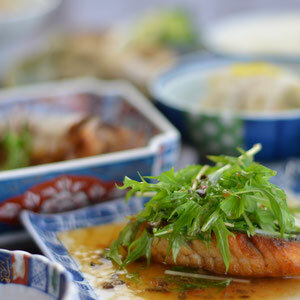 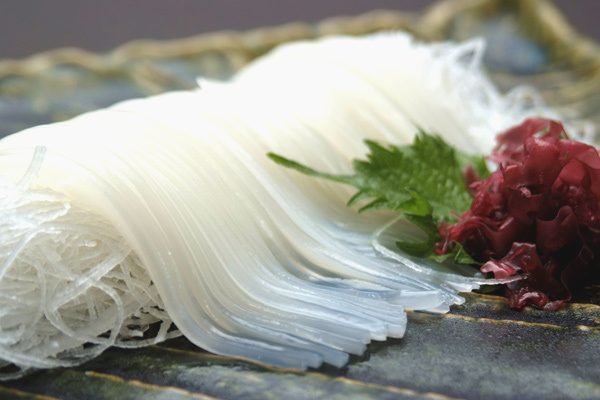 Melting-like texture of sashi and sweet flavor of meat are quite refined and they have refreshing aftertaste. 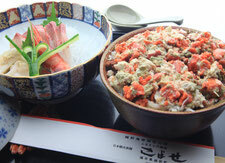 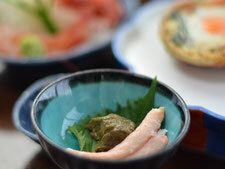 Wakasa-beef & uni & awabi very special plane Apr.-Oct.